Packaging Design Archive - CARE & S.
From LAB Love for Art & Business website: "Making Beautiful Sustainable: Care&s is brave new detergent aimed towards people who love their clothes and care for the environment. LA+B has co-innovated and defined the product and it's unique position on the market. 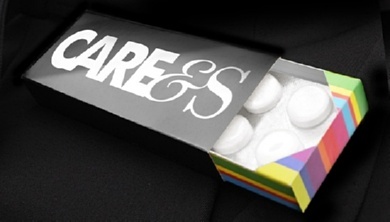 Care&s is available in selected fashion stores across Europe."